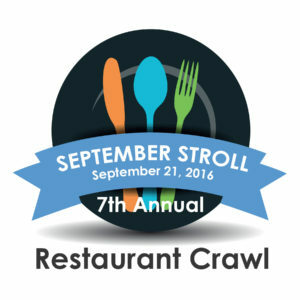 This year’s September Stroll: A Taste of Howell is on target to be the largest ever, with wonderful restaurants serving up their finest dishes to participants. Downtown Howell restaurants make up the walking part of the tour. East loop ventures down Grand River Ave. to restaurants on the east sector of Howell. South loop is a short shuttle ride just south of downtown. This year’s event is featuring shuttle transportation — courtesy of Bob Maxey Ford — to the two outer loops from the parking lot of First National Bank at the corner of Sibley Street and Michigan Avenue. Participants are asked to begin at their assigned first stop and complete the loop before moving on to the next. Two for $35 or $20 each. On the day of the event – Sept. 21 – at all participating restaurants. 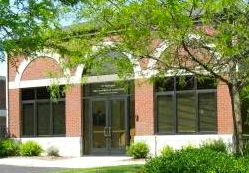 The event is hosted by the Howell Area Chamber of Commerce Ambassadors Committee. Transportation Sponsor is Bob Maxey Ford. Participating Restaurants will be offering tastes of their specialty dishes. Mouthwatering traditional New York Cheese Cakes bites with chocolate sauce or mixed berries. Drinks specials: $3 Short’s Local light draft beers and $4 Fall Fizz Cocktails. Hearty Chopped Brisket, Macaroni and cheese, and Pretzels with Queso. Samples of delicious mini tacos and mini burritos, along with select draft beer and wine specials. Delicious house-made, wood-fired pizza with a small pour of wine crafted right here in Howell. House-made macaroni & cheese sticks with Colby jack, parmesan and panko crust with pepperjack dipping sauce. Drink specials available too. Popular pumpkin spice, caramel-pecan latte over ice alongside a delicious selection of pastries. (Menus are subject to change). See you all on Wednesday!